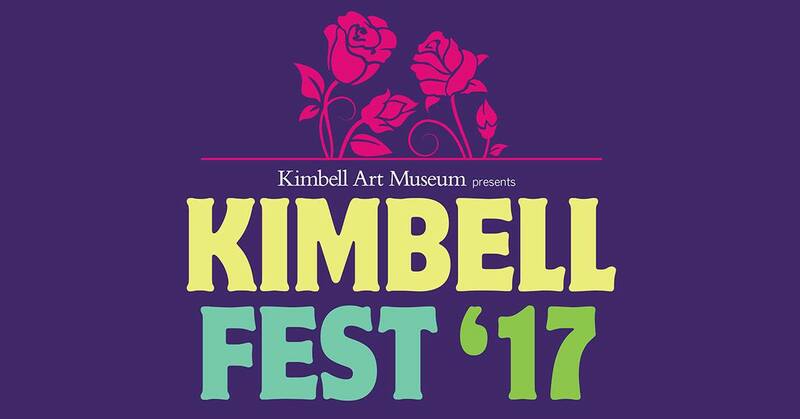 The Kimbell announces a FREE festival for all ages, “Kimbell Fest: Casanova,” with an exciting lineup of musical performances—including rock bands Wild Belle and Henry the Archer—plus spectacular surprise performances, art activities, and face painting. The fourth annual event, “Kimbell Fest: Casanova” is inspired by the Museum’s special exhibition "Casanova: The Seduction of Europe." Admission to the exhibition is FREE during the festival. The festival will kick off with “Casanova’s MasqueRIDE” from 4 to 5:30 p.m., presented in partnership with Fort Worth Bike Sharing. Riders are encouraged to dress their bikes and themselves in their best Don Giovanni or Marie Antoinette and meet on the north end of the Kimbell’s lawn to enjoy a spirited bicycle tour of the Museum’s Cultural District before reaching the “finishing line” on the Museum’s lawn. Discounted BCycle bike rental will be available. All activities, including concert admission, are FREE and open to the public. Blankets are encouraged. Attendees can preorder picnic packages from Central Market by calling 817-377-9307. Picnics will be picked up at the event. Lyft will provide festival-goers with discounted rides to the Museum’s campus. Codes and information will be available at www.kimbellart.org. A variety of food trucks and beverage options will be on the grounds for purchase. A free water station will be provided by TRWD - Tarrant Regional Water District. No outside food or beverage is allowed. Free parking will be available at the Museum. The complete schedule, parking details and travel options will be available soon on kimbellart.org.